I purchased it last october, & i was just surprised that how it had change my day to day life includes mail,update from facebook on home screen, loads of gadjets..& then i upgraded it to belle refresh version that has minor bug fixes & dolby surround music, picture when taken were got to be noticable change like it has EdOF & full focus..but still 5 mp camera is on it's job. Though lack of gpu & flash downed me. But it has the hardware where other high end phone doesn't have. Well i am happy with my phone. Purchased a pair of philips earphone for listinin music in this, that only enhances the quality of listining music. If your choice for bussiness suit,it does provide you the office packages or can download it by OTA. Playing games are strictly not recommended. But it lots better for wad other sells around at the market. Its just work like a charm for me!!! 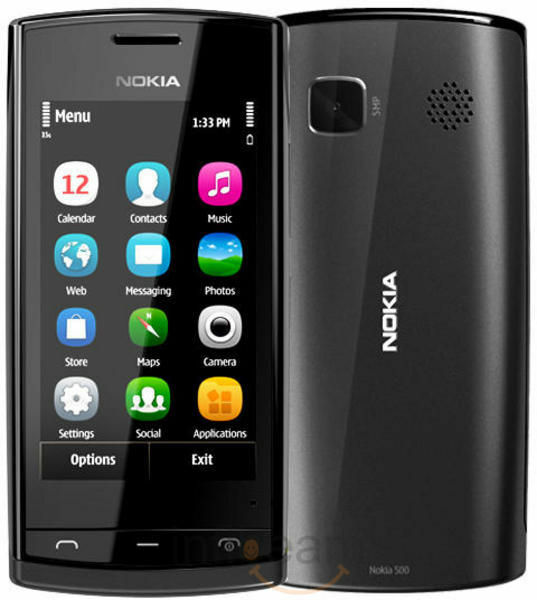 i have been using this phone for 2 months.in this time i have went through every tiny details of the phone and so would like to tell everyone about it.nokia 500 is a phone which lies in the Rs.10000 bracket.it has a very good screen of 16 mollion colours and a good capacitive response which helps to type on this screen like a breeze.build quality is solid and feels good when you hold it in you palm. 3.2inch screen is a little congested yet its not a problem because of the user interface. it comes standard with symbian anna but it is upgradable to symbian belle which i had done and trust me it looks and feels much upmarket and better than before.the box has extra two coloured backcover which gives it a nice package overall with a standard nokia headset and nokia fast battery charger.internet experience is good as it has a 1ghz processor and video playback is fine.speaker quality is good and battery backup is what i liked most and i had used it for a good 3 days(2g network) and almost 2 days(on 3g network) till it ran out of juice.it has awesome 5MP camera which is worth mentioning as pictures are really awesome.video recording quality is pretty good( not HD videos but the are worth mentioning ).music playback is awesome too. yet the phone has flaws,biggest of which is the 256mb ram and lack of GPU which will show its effect after a while the phone has been used.multitasking is not a job that this phone is meant for as it would slow down drasticlly unless applications are closed.no decent games can be played with anna interface but belle has inbuilt game like angry bird which has good feedback.but mind the fact that no way can 3D games be played on this device which is a shame.overall i would give it a 3.75/5 rating. people concerned with looks,camera,light internet browsing,music playback can go for it with no doubt but people who want multitasking,gaming and the extra bit out of this device i would advise that change your choice and go for devices.